Find ideas here about preserving things inside of time capsules - from our leaflet Preservation Hints for Time Capsules. We include the leaflet with all of our time capsules. Yes, that’s right. Forget it. If the time capsule container leaks, why worry about the preservation? Time capsules must avoid temperature changes, relative humidity, and ultraviolet light exposure. Do not assume you can bury any container. Your time capsule container should not leak, it should not rust, and it should not crack over time. It must have a secure and long lasting seal. A stainless steel container is the perfect choice. If you bury your time capsule, you must make sure the container will not only itself survive, but protect the contents, too. And the container must protect it until your intended recipients open the time capsule. Archaeologists find containers that have survived for thousands of years. But it’s rare that the contents of those containers survived along with them. Use a secure container that will protect its contents for its intended time in storage. You can give your items all the preservation in the world. But it doesn’t matter if your time capsule container leaks. Of all the time capsule preservation secrets, this is the most important to know. If the capsule leaks, you can forget about preservation. We take extra care to see that any container we sell does not leak. Now you can think about preserving the items inside! All paper is not created equal. Some paper is acidic. Such paper will only deteriorate over time, no matter how good your enclosure or container is. Use only permanent paper. If you have paper such as company stationery that you wish to use, research the kind of paper used to print it or use a pH testing pen to determine its acidity. 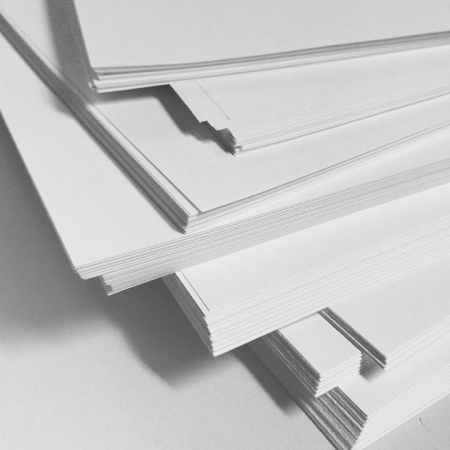 We recommend using a fine paper with at least 25% cotton content, such as the Permalife® paper specified for PhD theses. Resume paper and paper with 100% cotton content are good, too. These papers are worth the additional cost. Consider MicroChamber Paper if you have projects stored longer than 300 years - it has zeolites and other things to neutralize acids over time. Read more about the best paper for long term storage. Secret 3: What Not to Use: No Staples! No Rubber Bands! No Paper Clips! Decide on the best archival practices from the beginning of your time capsule preparation. Avoid staples, paper clips, and rubber bands. One easy way to keep documents separated is to use a permanent paper sheet in between items. You can write on the paper to show who donated it, or use paper forms made up for donated items. These donation forms become an important part of your time capsule. Make them up yourself to guide those who wish to donate contents for the time capsule. Handle photos and other objects with clean, dry, lotion-free hands. Use gloves if necessary. 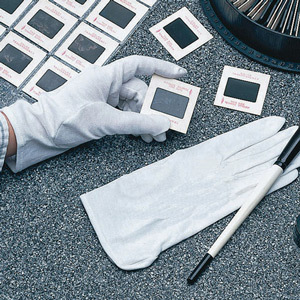 Fingerprints, dirt, and oils on photos make them deteriorate in storage. Make sure your traditional or digital photos last inside of the time capsule and for years beyond. Yes, you can use color photos as well as black & white photos. See Henry Wilhelm’s site for tips on films, paper, and ink (www.wilhelm-research.com). 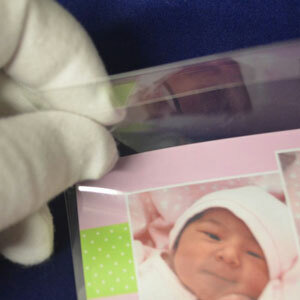 Use safe plastic sleeves to hold your photos (two per sleeve, back to back). Then place them into envelopes for storage inside of the time capsule. Use the recommended archival grade polypropylene fold locking sleeves. You can get a surprising number of single sheet documents into our 9x12 clear envelopes, too, and this style comes in other sizes. Today’s scrap-booking makers have demanded suppliers use the terms “acid free” and “archival.” But sometimes, manufacturers just put the wording on there and don’t guaranteed their products. If the product literature says the enclosure is archival, ask the supplier what he means by that. Does it pass the PAT Test? The PAT is a test for unstable photographic activity that can happen over a period of time in storage. The photo enclosures should pass that test. Ours do! For instance, our tissue passes the PAT test, our envelopes do, our photo sleeves do. We use suppliers that guarantee that. So do we. Space inside of a time capsule is limited. You may have textiles (Tee Shirts, Flags, Uniforms) to place inside. Don’t cram them in. Use buffered pH tissue to separate the most textile items. Pad any folds with tissue, too. When you pack the time capsule, place heavy and less delicate items on the bottom. Store framed paintings and framed works of art on paper vertically (up and down). Protect the edges with padding, and if you have more than one such article, use archival cardboard or foam between them. 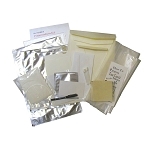 Our larger kits include archival foam that is safe to use around artifacts. You may need to place in your time capsule an item whose material degrades over time. Materials such as rubber, leather, and wood are common problem items in long term storage. Yes, sports balls and framed artwork are popular time capsule donations. If you have these challenges, we recommend our MVP™ pouch. Its material is Marvelseal 360®. The use of these gas barrier bags is to prevent harm to other items from any off-gassing. Our MVP bags come with easy to use instructions. Use them. Inherent vice is a term that applies to conservation of items. Here’s how it happens. One item starts deteriorating. It touches an item lying next to it. Over time, the problem (let’s say foxing) transfers to the other item. Give your CD, DVD, and other removable media a fighting chance of survival! 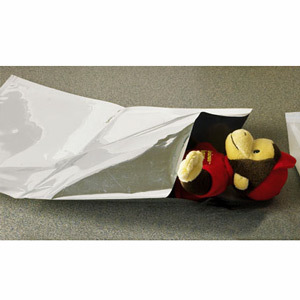 Use Corrosion Intercept® bags to enclose them. The material prevents corrosion of metals over time. The material is helpful also for coins, pins, and other metal items. Available in flat 6x8 & 8x10 or zip 6x9, 8x10, & 10x12" formats. Another specialty material is the Magic Insert™. We make our Magic Inserts from Alpha Rag material. This insert works to protect newspapers and other acidic materials in storage. We place these inserts inside of our preservation kits with instructions, and we use the inserts for our Newspaper File Kits. 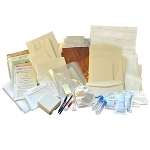 The specialty bags and inserts neutralize vapors and acids released by certain items in long term storage. If you have a lot of metal items, computer media, or anything that contains parts or is made of metal, consider adding extra bags to your kit or project. It’s not rocket science to preserve your items inside of a time capsule. Much of it is common sense. But knowing what’s tested and safe for long term storage means you can give your time capsule contents the best chance of survival over time. 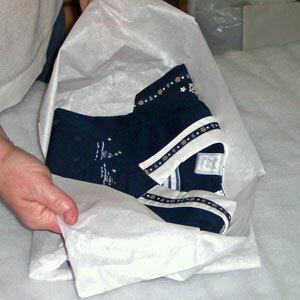 See our Preservation Kits page and also the Catalog pages to see exactly what is inside of each kit. Customer needs will vary. Designed for smaller box time capsules, this kit works for any document storage projects. Ships promptly! Keep your time capsule items in great condition inside of your time capsule by using these enclosures.